My husband and I have been busy adding a bathroom onto our house. We did all the finish work ourselves, including tile, paint, trim, installing a pocket door, building a vanity. (We=> 80% my husband, 20% me.) We also had to tear our deck off to have the bathroom built, and are now putting the deck back on. I tell you this because we have been consumed with this project and the garden has GOTTEN OUT OF HAND. Climate change has also contributed, giving us 100 degree days in June and July. Despite my attempt to improve my thinning skills, our little Gala apple tree is overloaded. 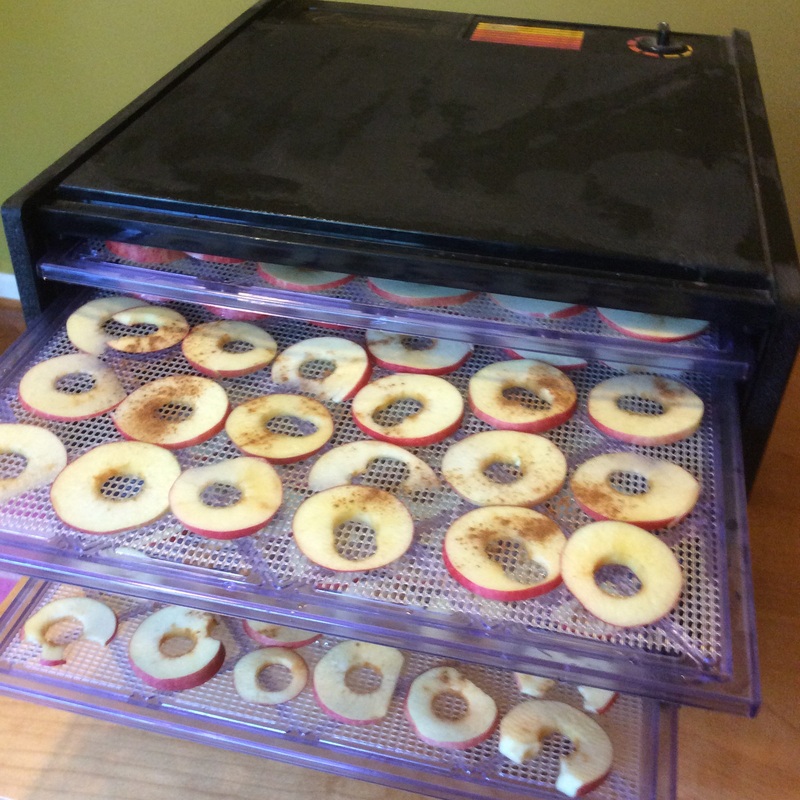 It’s time to dry apple rings. 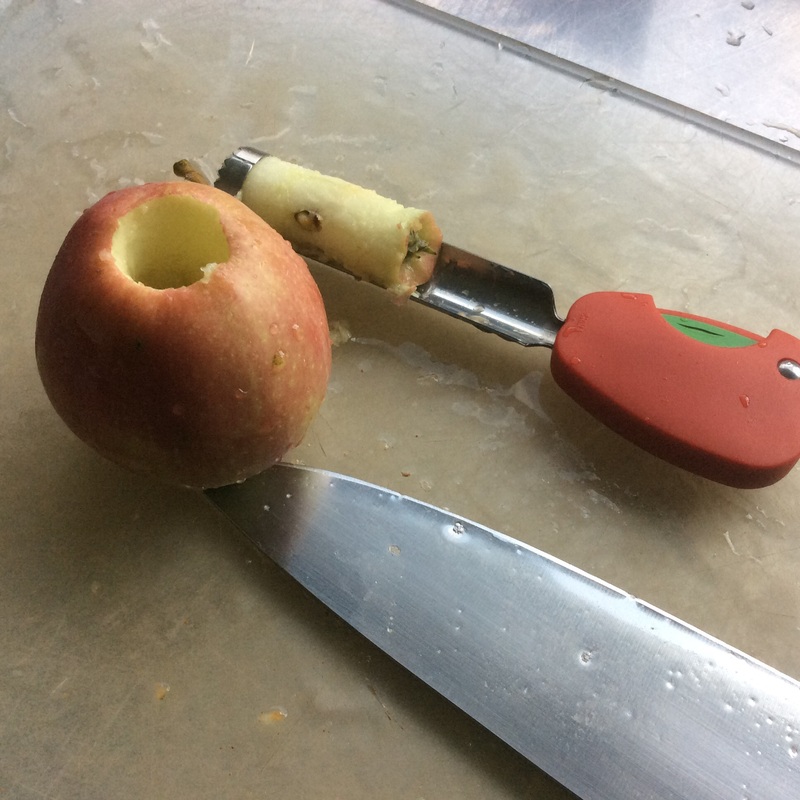 This is not a difficult process if you have a sturdy apple corer and an Excalibur food dehydrator. 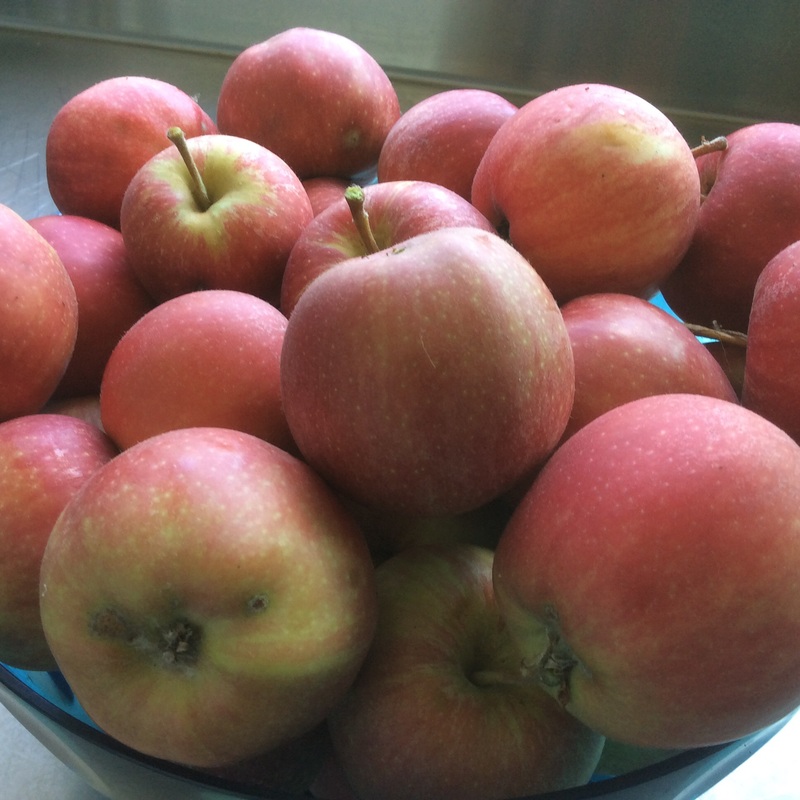 We use these apple rings all year as snacks and in homemade granola. It’s time to can pizza sauce and salsa, too. So dang early. Is your garden also changing due to our climate extremes? 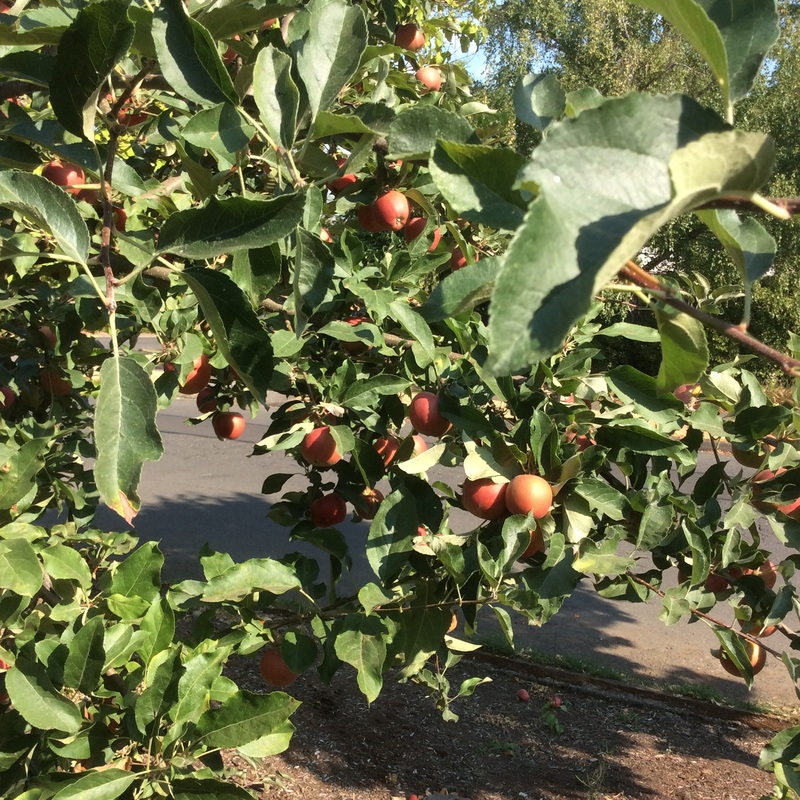 This entry was posted in Garden and tagged apples, climate change, dehydrator, Excalibu on August 12, 2015 by czelazek.